With the exception of 065822 you should be fine. For peace of mind request VMI (vehicle master inquiry) confirmation that there are no outstanding recalls or service campaigns. I should note this should automatically be done via PDI (pre-delivery inspection). That's what I figured, thanks! Thank you for the checklist as well! Recall Campaign 2017030014, APR 2017 – 213 setting for the airbag control module might prevent the vehicles from being in compliance, dealer will update the airbag control module. Approximately 65 vehicles affected. LI82.85-P-066086 APR17 – 2017 117, 156, 166, 172, 207, 218, 231, 242, 246, 292 with code 362 (HERMES communication module LTE), code 522 (Audio 20) module may keep CAN awake through BT connection to head unit discharging battery, update software. 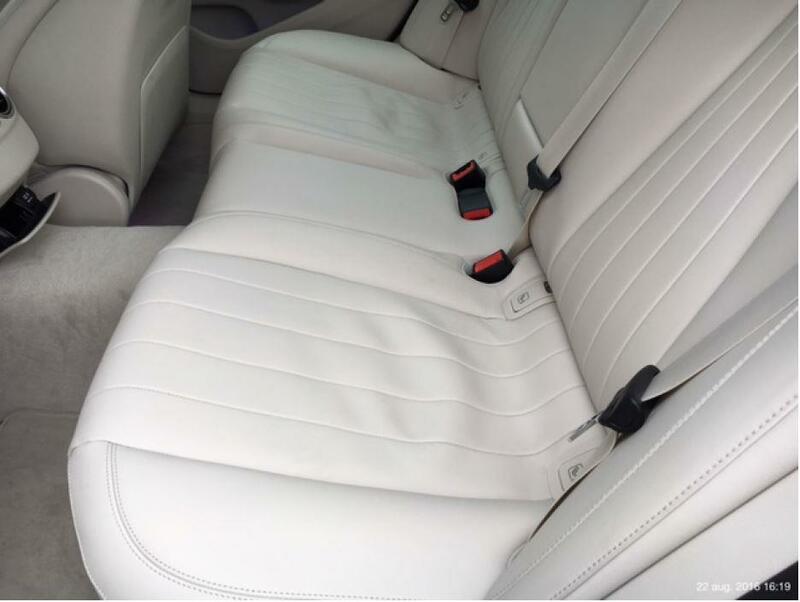 LI91.12-P-066074 213 with code P22 & 801, 814 or 815 rear seat wrinkling with exclusive leather, issue is under analysis and remedy will be given at a later date. Last edited by konigstiger; 04-24-2017 at 04:24 PM. LI82.85-P-064051 MAY16 – 213 w/code 464 central display malfunctions sporadically COMAND audio remains functional, repair cable set and line bracket. Recall Campaign 2017050002 May17 – 2017 213 widescreen instrument cluster software version might result in cluster not displaying content upon vehicle start or display reset may occur while driving. Dealer will update software. Approximately 16 vehicles affected. LI82.85-P-066144 APR17 – 213 with code 362, 531 and 536 “SOS – Service Not Activated” displayed in instrument cluster, perform recommissioning of head unit. Additional remedies can be found in LI82.85-P-065949. LI80.61-P-066149 May17 – 213 keyless-go vehicle cannot be started, pins in control unit and/or contact sockets in the coupling housing are corroded. Perform leak test, replaces KG control unit and coupling. LI32.25-P-066247 MAY17 – 213, 205, 253 without Airmatic (489) noise at front axle support bushings, plastic core may detach from rubber mount replace both with modified bushing incorporating steel core insert. LI32.25-P-066262 MAY17 – 213, 205 without Airmatic (489) oil residue on rear axle shock absorber, create PTSS case and replace shock absorber. LI32.25-P-066246 MAY17 – rear axle thumping noise, replace rear axle damper support bushings with modified version. LI82.85-P-066144 APR17 – 213 with code 362, 531 and 536 “SOS – Service Not Activated” displayed in instrument cluser, perform recommissioning of head unit. Additional remedies can be found in LI82.85-P-065949. I'm in the U.K. and my car was built on the 18th of May. Would my car have any of the problems listed above? LI54.65-P-066284 MAY17 – Vehicles with reversing camera (code 218) or 360 camera (501), see attachment. Recall Campaign 2017050014 MAY17 – 2017 213 roof mounted spoiler may not be properly attached and may partially detach, dealer will replace spoiler. Approximately 411 vehicles affected. Recall Campaign 2017050012 JUN17 – 2017 213 front passenger air bag and driver knee bag may not correspond to specifications (may not fully deploy), dealer will replace both. Approximately 81 vehicles affected. LI82.85-P-066702 JUL17 – 213 NTG 5.5 with code 522 and 355 or 357; 212, 218, 207, 117, 156, 166, 172, 176, 242, 246, 292 NTG 5.1 with codes 522 or 357; 205, 253 NTG 5.2 with codes 355 or 357 Garmin MAP PILOT traffic information and possibly voice control inoperative using download manager 2.0.29 or 2.0.30, run recovery function and reinstall navigation software update. LI54.30-P-066611 JUL17 – 213, 238 with code 235 (park assist); 464 w/digital IC Parktronic warning tone sounds continuously not stopped by switching off ignition, improved software to be released. Tone can be stopped in following ways: Request highest warning level again: drive vehicle towards an object that Parktronic can detect until one of the dis0play warning segments reaches highest warning level (flashing red), move the vehicle away again. Or perform quick test with Xentry diagnostics. LI54.70-P-066764 JUL17 – 213 with code 258, AMG styling (772), and iridium silver (775U); 238 codes 258,772,775U IC message “Radar sensor system soiled, see Owner’s Manual” (stored DTC C10C6FA) ABA control unit may have become blocked due to soiling or foreign object. Repair in progress, fix to be released at a later date. LI91.18-P-066760 JUL17 – 213.064/088/089/264/288/289 gap formation between seat cushion cover and side panel, insert spacer under fabric. LI67.20-P-066438 JUN17 – 213 outer lower seal of rear window loose in places, replace seal. Last edited by konigstiger; 07-19-2017 at 05:44 PM. LI00.20-P-066887 AUG17 – 213 service display implausible, shows incorrect interval from the 5th service maintenance perform powertrain control unit update. LI42.10-P-066910 AUG17 – 213 without AMG juddering/shuddering of the brakes at the front axle can be felt when braking, check the wheel assembly components – disc brake & brake pad condition, wheel imbalance, suspension & steering parts, and wheel hub contact surface. If none of the components are visibly or measurably damaged replace brake pads. LI18.00-P-066897 AUG17 – 213 AMG howling noise or vibrations present in vehicle interior in rpm range of 2000-3000 rpm when vehicle is stationary or traveling up to approx. 50 km/h, coolant/oil lines may be in contact with front axle carrier. Last edited by konigstiger; 08-21-2017 at 02:56 PM. MB Canada - Where do I register? You have a web reference for this MB Canada service? LI82.85-P-066991 AUG17 – 2017 222, 213 with COMAND (581) after resetting control unit active profile Parktronic warning segments may flash without any warning tones, update COMAND software. 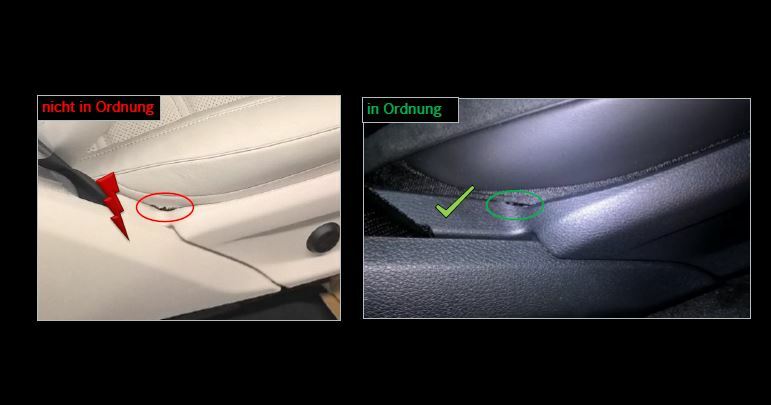 LI91.12-P-066989 AUG17 – 213 with load through seats (287) rattling noise between rear seat and body shell, install felt strips to catch or joint at rear shelf (see photos below). LI82.20-P-067044 SEPT17 – 2018 213, 222, 238 ambient lighting partial illumination. Ambient lighting is operated over LIN bus and controlled via ambient lighting control unit (head unit is only for making settings), guidance will be provided by PTSS (MB technical assistance) case response. Service Campaign 2017030008 – 2017 213 with COMAN (531) control unit does not correspond to current production configuration this may lead to incorrect vehicle positioning and system performance issues, dealer will update COMAND software. Have dealer check VMI to see if VIN is included. Approximately 209 vehicles affected. Recall Campaign 2017080002 SEPT17 – 2015-2017 213, 117, 156, 205, 253 starting current limiter could be overloaded under certain conditions dealer will install an additional inline fuse to starter. Approximately 269,480 vehicles involved. LI42.47-P-067043 SEPT17 – 213, 238 after ESP software update fault C006A4A “Yaw rate, lateral and longitudinal acceleration“ has a malfunction the wrong component is installed. During software update the sensor cluster calibration may be lost, perform commissioning of ESP control unit. Last edited by konigstiger; 09-20-2017 at 02:10 PM. Service campaign 2017050010 SEPT17 – 2017 213 lower engine compartment paneling may have been damaged during vehicle production, dealer will replace. Approximately 1,230 vehicles affected. Service campaign 2017090007 OCT17 – 2018 222, 213, 217 ambient light control unit not to production configuration, dealer will update software. Approximately 140 vehicles affected. 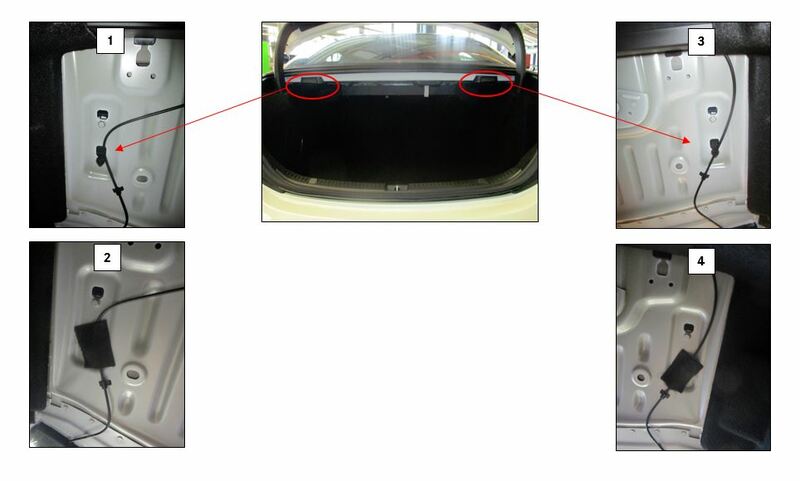 LI03.30-P-067184 OCT17 – 213, 222 AMG w/177LS2 engine muffled metallic knocking or clattering noise from engine rear/transmission bell housing typically heard before reaching operating temperature, under analysis crate PTSS case for technical MB assistance. LI82.85-P-067191 OCT17 – 218 intermittent “Anti-theft protection activated” temporarily rectified after ignition cycle or unit reset (hold down on button for 10 seconds), update COMAND software. Recall Campaign 2017100004 NOV17 – 2017 213, 205, 253 contacts inside electric steering control unit might not have been properly welded, dealer will replace steering rack. Approximately 4 vehicles affected. Service Campaign 2017100008 NOV17 – 2018 213, 172, 205, 253 camshaft cover may have been correctly installed oil may leak, dealer will adjust. Approximately 2,442 vehicles affected. LI54.30-P-067251 NOV17 – 213 with 12.3” instrument cluster (code 464) time on IC & analog clock changes continuously ad at random, cause is under analysis create PTSS (MB technical assistance) case. LI03.10-P-067389 NOV17 – AMG engines oil filter may reveal what appears to be brass shavings/yellow paint particles, particulate is worn paint markings from connecting rod bolts presence is part of normal engine operation. LI83.30-P-067427 DEC17 – 213, 205, 238, 253 front climate control A/C button indicator lamp inoperative air conditioning system functions correctly, replace control panel. LI82.70-P-067430 DEC17 – 213,222,217,257,238 with code 897, 898, 899 charging process for Samsung phone is aborted, reduce processor load of phone. Close all apps, set performance mode: settings > device maintenance > performance mode > optimized. LI82.70-P-067458 DEC17 – 213,238,257 with code 531, 222 with code 531 & 808 phone address book not transferred completely irrespective of phone used, delete special characters in contacts and doubled last and/or first names from phone address book. LI72.00-P-067456 DEC17 – 213 up to production 1/13/17 door trim strips protrude at front/rear, affix adhesive fabric tape. 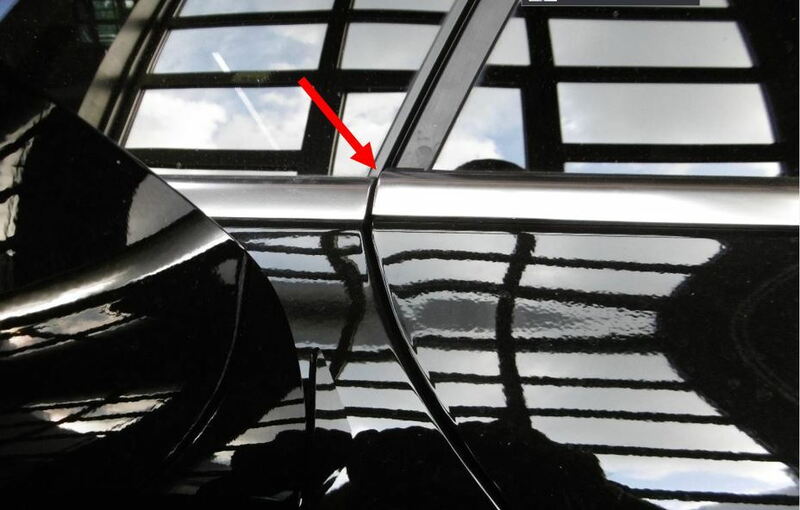 The issue with the door trim strip is so obvious and it was such a common issue I am surprised they let the car leave the factory like that and continue to do so for so long? Had my S213 in for its first Service A and asked them to look after a few things that are bothering me. Amongst them what I would label inconsistent deceleration; i.e. it feels like the breaking isn’t smooth when pedal is depressed. Shop listed bulletin LI42.10-P-01801 on their report / invoice, yet told me there is nothing that they can do about; vehicle still stops.... Any chance somebody can dig up this TSB, as I’d like to see what it actually says. From the creators of the “the best of nothing” statement (which didn’t seem to apply to a few other issues I asked them to look after...). LI82.62-P-067526 DEC17 – 213 one or more temporarily malfunction, all audio sources. Currently being analyzed, create PTSS case (MB technical assistance). LI82.85-P-067582 JAN18 – 2017 213, 238 no music can be found on USB mass storage device some music files from phones or iPod can still be detected and played back. Export customer data from COMAND (system – system backup – export); reset (system – reset); import customer data (system – sys6em backup – import data). LI82.85-P-067581 JAN18 – 117, 156, 166, 172, 176, 190, 205, 207, 213, 217, 218, 222, 231, 238, 242, 246, 253, 292 with code 362 (HERMES LTE communication module) “SOS – Service not activated” vehicle's backend over-the-air registration (OTAR) has failed or was not completed successfully, ensure vehicle has adequate GSM and GPS reception perform new initial startup. Service Campaign 2018010007 FEB18 – 2017 & 2018 117, 156, 166, 172, 190, 205, 207, 213, 217, 218, 222, 231, 242, 253, 292 HERMES may not meet current specifications, dealer will update control unit software. Approximately 26,149 vehicle affected. 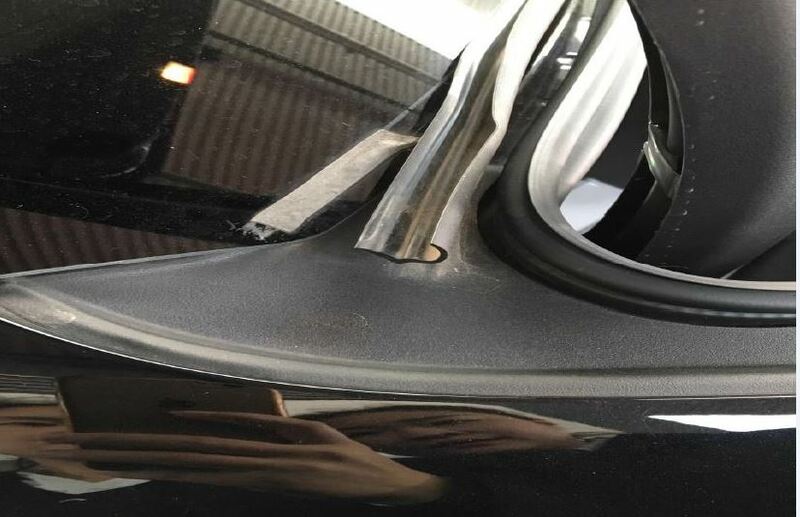 LI54.18-P-067550 FEB18 – 213 276 & 274 engines ESP,BAS,PRE-SAFE fault message in instrument cluster no component faults found, replace female contacts of the connector/feed line at accelerator pedal sensor. LI54.30-P-067674 FEB18 – 213, 238 with code 463 (heads-up display) & 2018 222 stripes appear in heads-up display, adjust duration of run-on time via XENTRY. LI91.10-P-067712 FEB18 – 213 up to 1/9/18 (VIN A409095), 205 up to 12/19/17 (1F394735), 257 up to 1/8/18 (A000497) left side of seat creaking noise when cornering. A burr at the bottom of the backrest member may cause contact with the lower cross member. This produces a noise when the two components move. Last edited by konigstiger; 02-23-2018 at 12:30 PM. Recall Campaign 2018030005 MAR18 – 2017 213 low beam headlamp setting might not correspond to current specifications range may be reduced, dealer correct setting. Approximately 28 vehicles affected. Service Campaign 2018020009 MAR18 – 2017 213 rear axle carrier noise, dealer will replace. Approximately 35 vehicles affected. LI88.50-P-067780 MAR18 – 213 with code 881 up to production date 1/31/18, when trunk reaches upper limit stop cracking noise may be heard, perform SCN coding drive unit afterward normalization is required. LI88.60-P-067847 MAR18 – 213 (produced before 11/17/17), 205 (1/22/17), s205 (11/21/17), 253 (11/20/17), 253 (11/5/17), 166 (1/29/18), s213, 222 plug-in hybrid socket flap at rear bumper will not open at temperatures in freezing conditions. Remove bumper, install optimized parts. - In vehicle with Keyless-Go (889), unlock the vehicle by operating the door handles. Make sure that the transmitter key is in the vicinity of the vehicle. - In vehicles with Keyless-Go Start (893), unlock the vehicle using the emergency key, place the transmitter key in the stowage compartment provided and switch on the ignition. If in both cases the vehicle subsequently reacts to the operation of buttons on the transmitter key, then the buttons on the transmitter key were deactivated due to inadvertent continuous operation. Remedy unsuccessful, do not reset the key by removing the key battery create a PTSS case. LI42.47-P-068025 APR18 – 213 e43 ESP button inoperative, update software of AMG Drive Unit control unit (n145/1). Service Campaign 2018010004 MAY18 – 213, 222 update transmission control unit software (no further details). LI46.35-P-068066 MAY18 – Squeaking/grinding noise when steering fully turned occurs at warm outside temperatures and after lengthy engine running or long journey most audible at standstill, replace steering gear. Recall Campaign 2018060001 JUN18 – 2018 213 & 205 equipped with AMG performance seats may not support required level of stress, dealer will replace seatback rails. Approximately 99 vehicles affected. Service Campaign 2018050011 JUL18 – 2017 213 & 222 transmission does not correspond to production specifications leading to increased wear, dealer will replace transmission. Approximately 9 vehicles affected. Service Campaign 2018060013 JUL18 – 2014 218 clearance between starter wiring harness and A/C system may not meet production specifications, dealer will retrofit starter harness. Approximately 2 vehicle affected. LI72.20-P-068322 JUL18 – 213 wagon with code 890 lift gate may stop during opening sequence, adjust parameters in HKS control unit (N121). LI54.65-P-068316 JUL18 – 257 (MY19 CLS) with AMG styling package 772 warnings may appear without cause by front parking sensors, perform SCN coding in parking system control unit (N62). LI54.65-P-068370 JUL18 – 213.064 (e43) warnings may appear without cause by front parking sensors, perform SCN coding in parking system control unit (N62). LI80.50-P-068392 JUL18 – 238 anti-theft alarm may operate without cause, remedy is currently in preparation. Recall Campaign 2018050012 JUN18 – 2017 213 horizontal adjustment mechanism might be accessible not meeting FMVSS standards, dealer will retrofit headlamp sealing caps. Approximately 42 vehicles affected. LI54.18-P-068180 JUN18 – 213, 205, 253 w/engine M274. Coolant temperature warning displayed in IC, engine does not have full power, install repair wiring harness. LI46.35-P-068181 JUN18 – 213, 205, 238, 257 except 4matic rattling/knocking noise heard when driving on rough surface 10-25 mph, adjust play between thrust piece and rack. LI72.10-P-068218 JUN18 – 213 as of 4/16 up to/including 4/18 production, front doors can overrun detent points and close on uphill gradients, replace lower hinge. 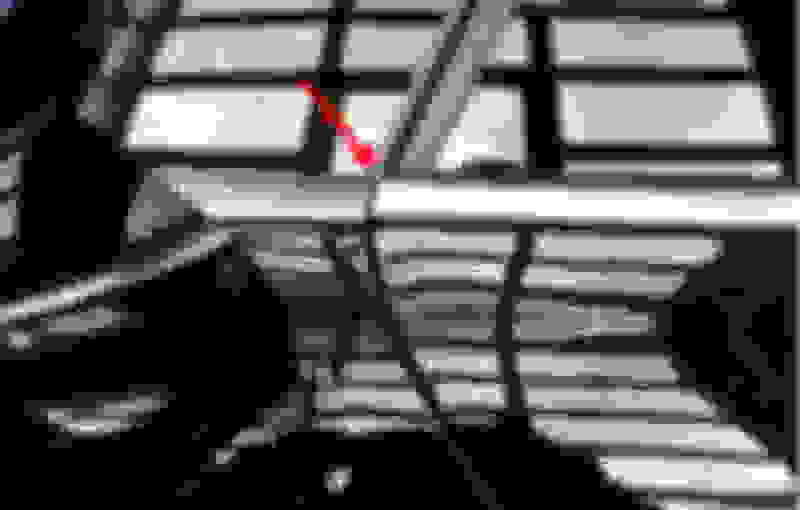 Last edited by konigstiger; 02-05-2019 at 11:10 AM.